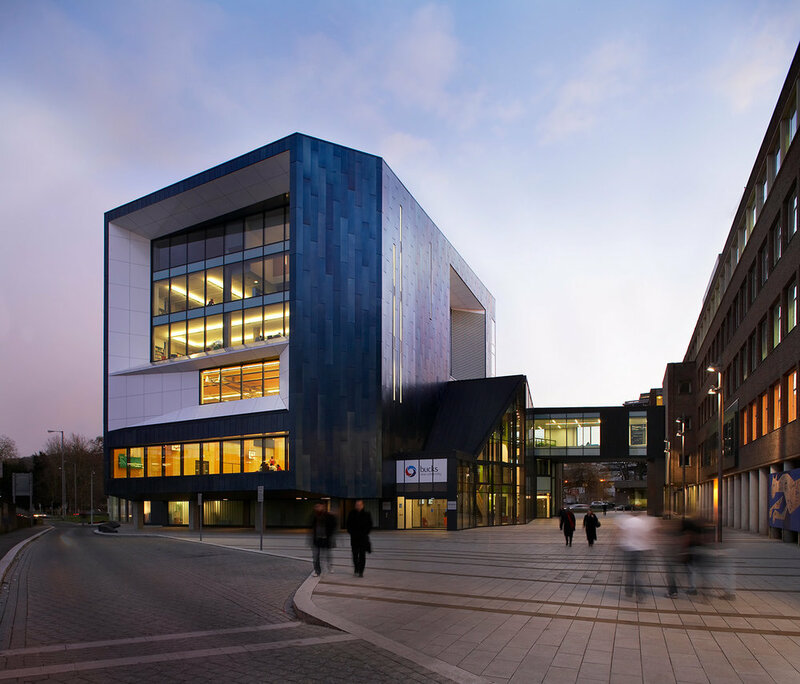 The new RIBA award winning Gateway Building is designed to engage with the local community and provide an extensive range of functions for the whole student body with 24/7 access. 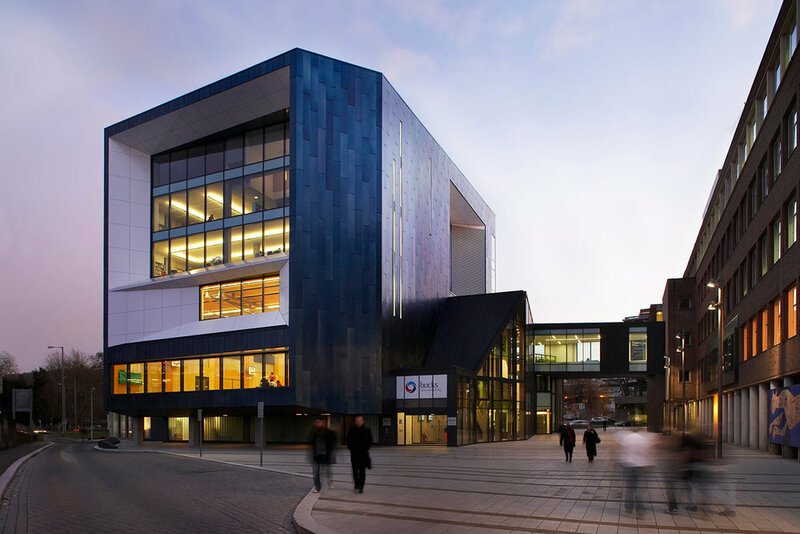 The building successfully delivers a ‘fusion’ of spaces – including library, lecture hall, gymnasium, cafe and spaces for multi-media and dance – into a single learning and social environment resolving the many acoustic and operational challenges that were faced. As the main reception for the campus, the facility conveys a distinctive, new identity, in sharp contrast to the existing campus architecture. 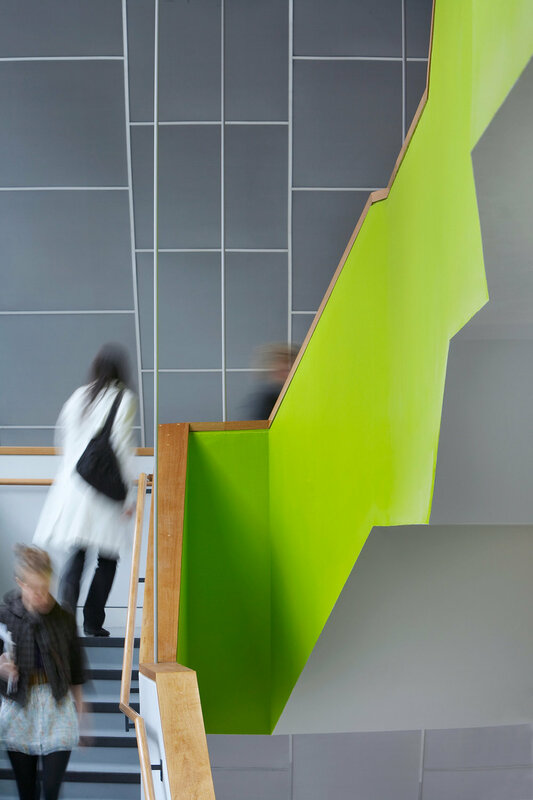 There are surprising and dramatic views across from the learning resource and academic spaces through into the multi-purpose hall, embedded in the heart of the building, bringing a real sense of life and activity. Built on a very constrained and sensitive site the design development involved intense and dialogue with the local authority and local community representatives. 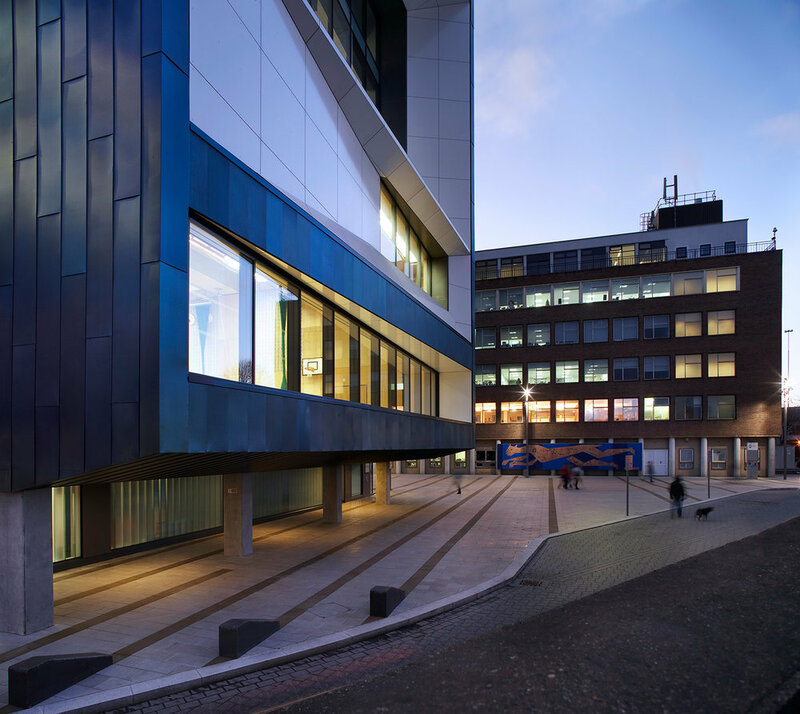 As a result of a comprehensive review of the university’s space needs, and the existing Queen Alexandra campus in High Wycombe, the Gateway Building is linked at second floor level to refurbished accommodation in the adjacent buildings as part of a campus wide programme of regeneration.